Hailing from the Sunshine State of Australia, with a colourful heritage threading back to the hills of India and the sands of Samoa, Tiana Khasi (say: Kah-see) is carefully carving her name – and voice – across the national stage. 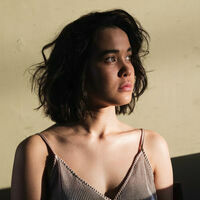 The Brisbane-based artist is another product of the current thriving jazz/soul incubator in Australia, delivering a sound that is unique to her eclectic lineage. It is hard to pin down exactly what Tiana Khasi is; soul singer, jazz musician, songwriter, performer - pick any of these and you’re only just scratching the surface. As a trained jazz vocalist and member of 7-piece jazz/hip-hop band, Astro Travellers, the singer is no stranger to collaboration. With stand out features under her belt for the likes of The Kite String Tangle, Sampology & Golden Vessel and with influences that range from Anita Baker to Erykah Badu, Tiana’s versatility sets her apart. It has been, however, her captivating live shows that have seen her rise meteorically through the city’s ranks, finding her poised to break through internationally.